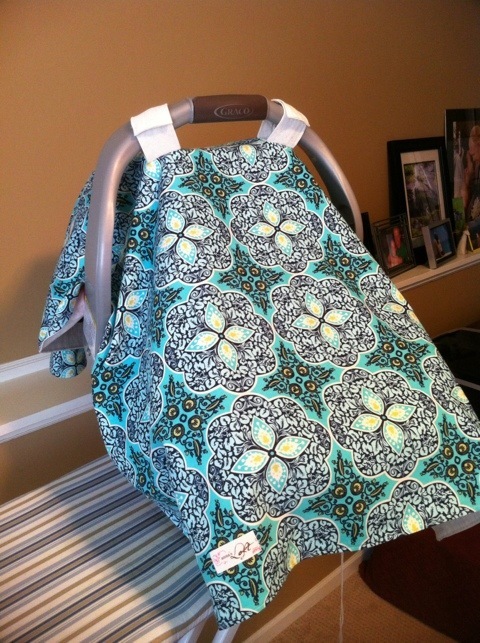 I don’t remember seeing these when the girls were born, but now I am seeing carseat canopies all over the place. I decided that they seemed like a great idea and I needed to make one for this little guy. I looked up some simple tutorials online, and here’s what I ended up with. Pretty cute right? 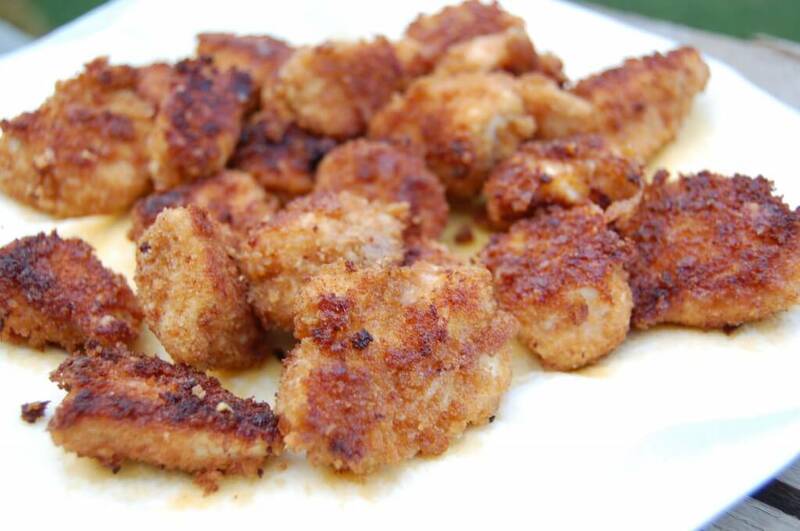 I love when I see practical ideas that are easy to make for myself. Ok baby, you can come now! This past weekend we were camping with D’s family near Cannon Falls, MN and we stumbled upon the most amazing fabric store called 4th and Main. I could have spent hours looking at all the beautiful fabrics! I can’t wait to come up with my next project just so I can back to this fun store! I love reading blogs and getting fun new ideas. Here are a few things I’d like to try soon. 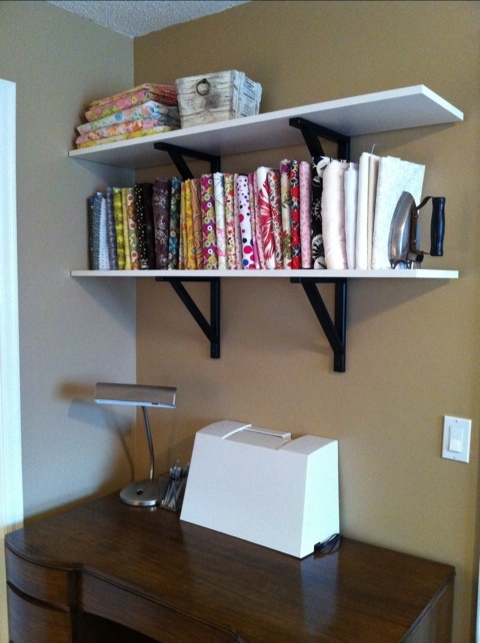 I’m really excited about my new ikea shelves in my craft room. Mostly because of what’s on the shelves. 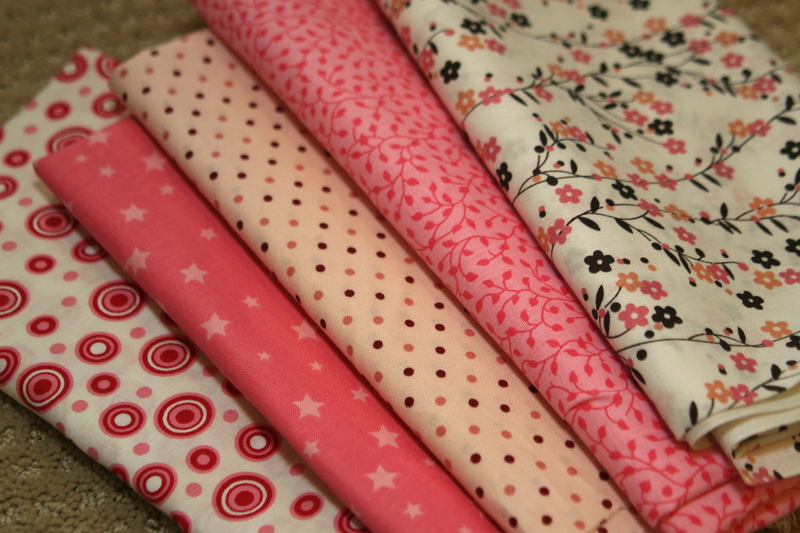 Look at all the pretty fabric! I wrapped my fabric around comic book boards to make mini bolts. Before my fabric was in bins in the closet and it was so hard to tell what I really had. This way I can easily see it all. 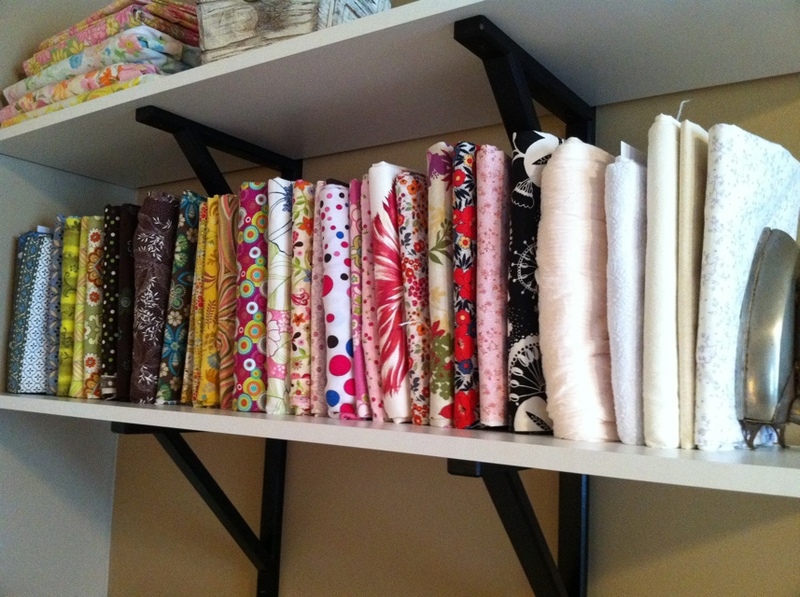 In the photos you can also see my vintage sheet collection on the top shelf. 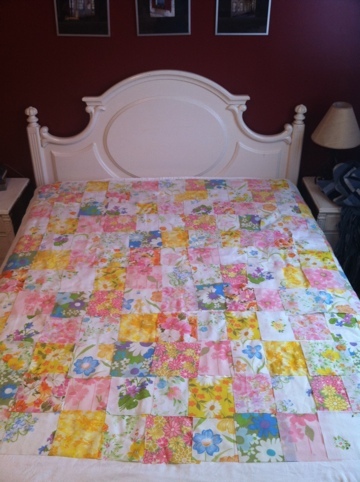 Now I feel like sewing! 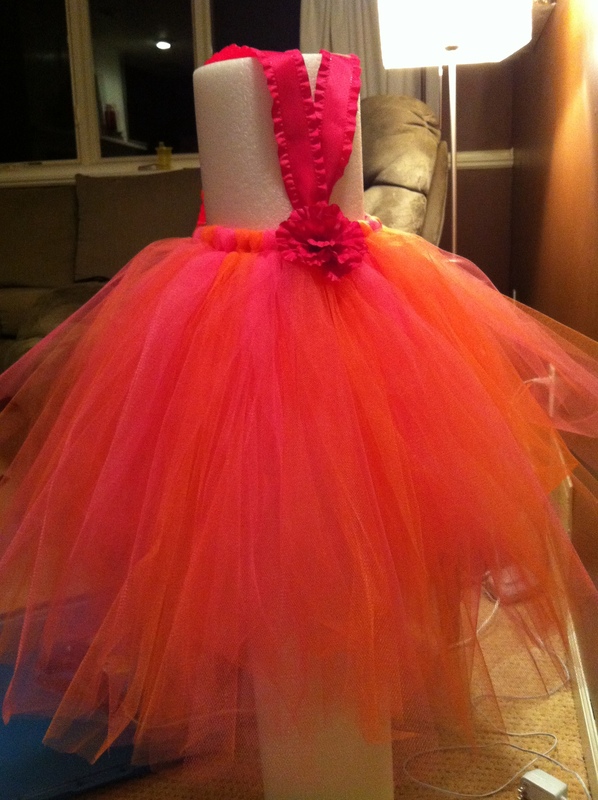 Here’s a sneak peak at the tutu dresses I made for the girls for their birthdays. I’m hoping to get some fun pictures of them soon! 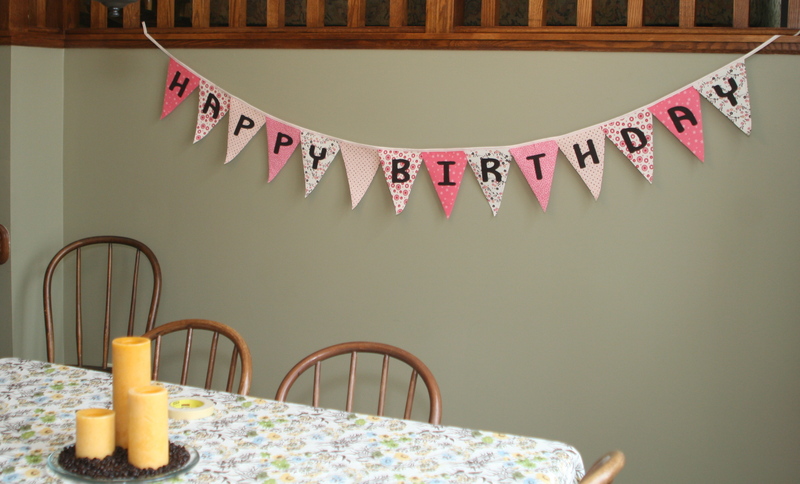 I am so excited about how my birthday banner turned out! 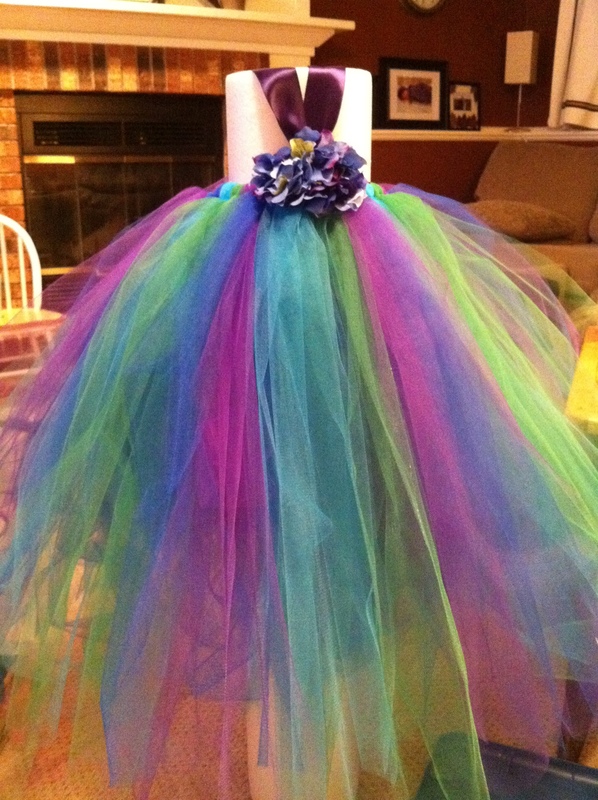 I can’t wait for the girl’s birthdays to use it!!! I decided to take pictures as I made this so that I could write a tutorial. I will preface this with the fact that I have never written a tutorial before and this was my first time making a banner. I’m sure as I make more I will come up with different ways to make things easier. But here is how I made this one. Fabric for fronts of triangles. I chose 5 colors, but you can do as few or as many as you’d like. 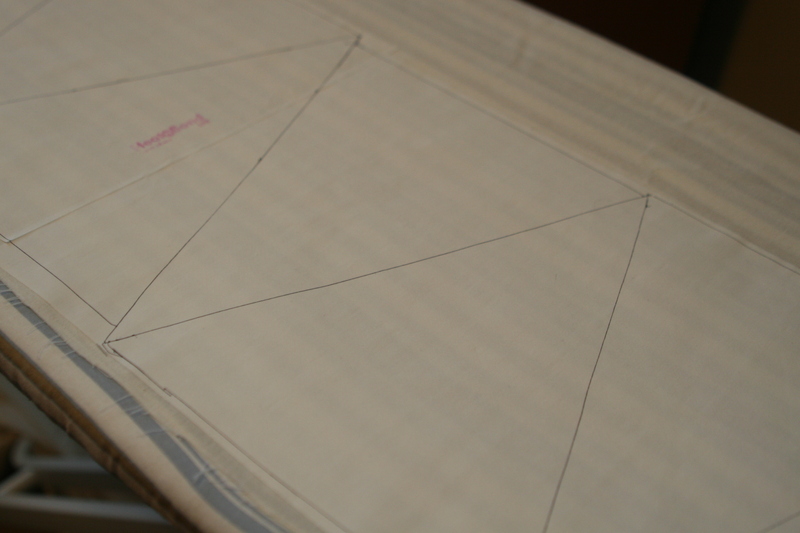 Fabric for the back of the triangles. 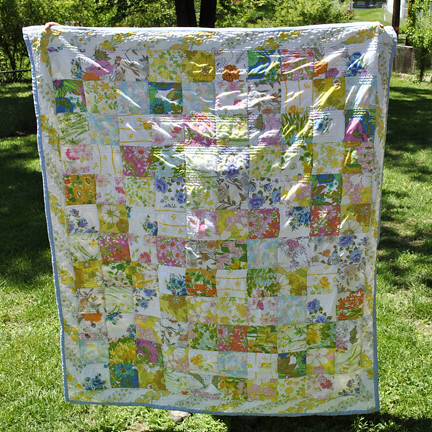 I used cotton muslin in offwhite, but you could use the same fabric as you use for the front. 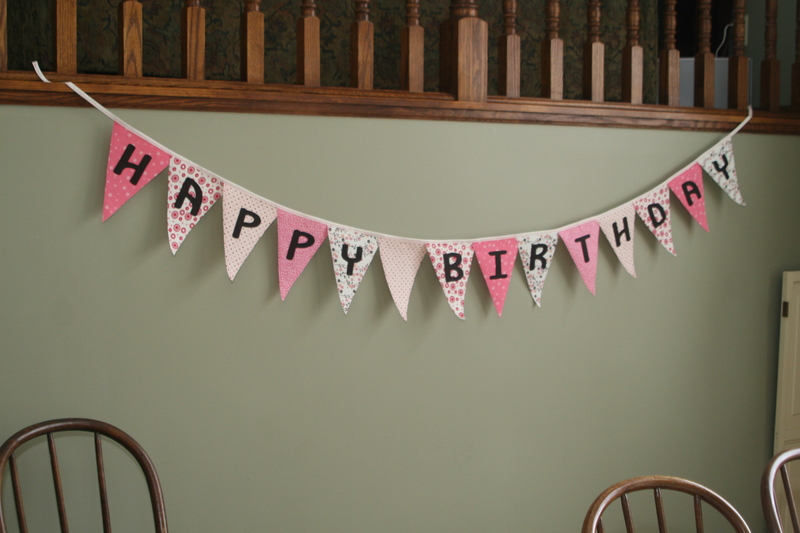 Decide what your banner will say. Happy Birthday, Celebrate, Welcome, etc. Determine how many triangles you will need. You’ll need a template to cut out your triangles. I used an old file folder. 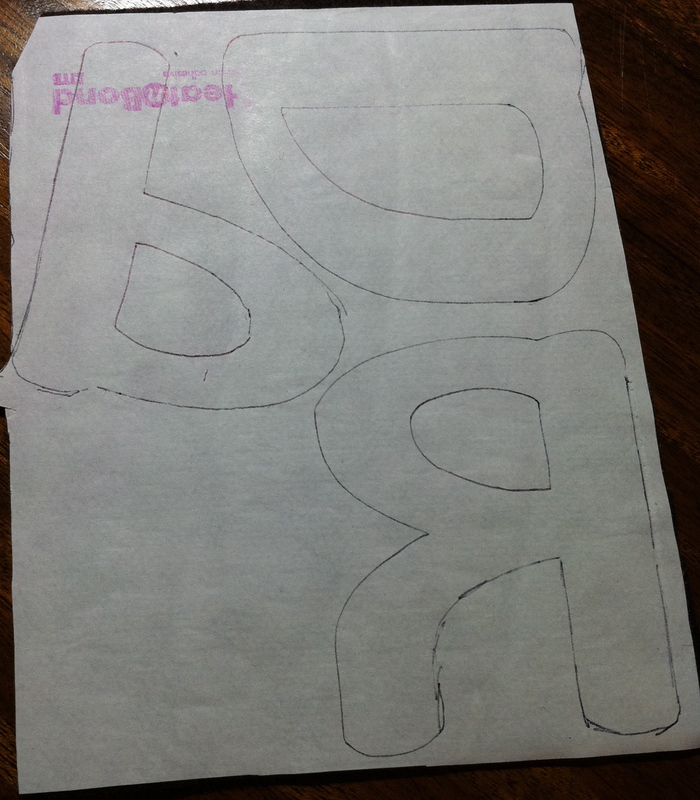 Next you trace and cut out all your triangles, one for each letter and any spaces. Here is a picture of the iron on adhesive I used. I went with this version so that I could sew through it. If you don’t want to sew, you could go with the stiffer stuff. 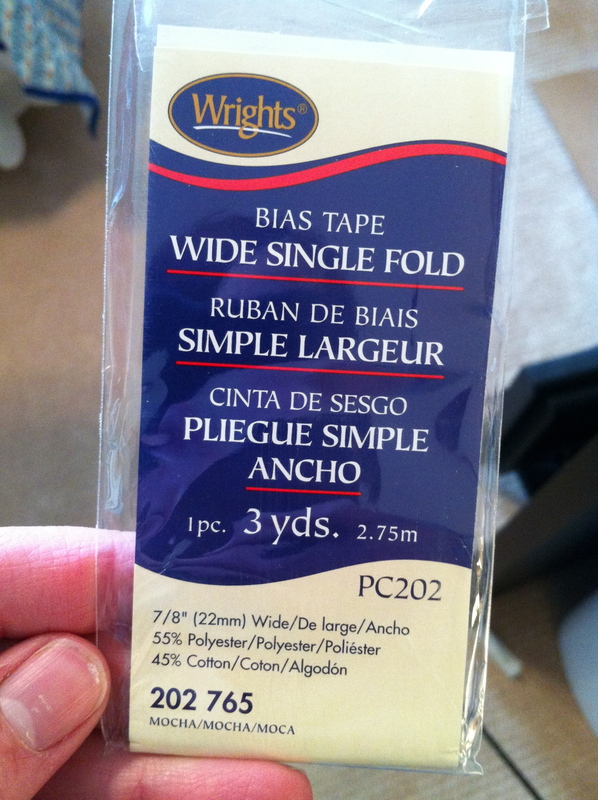 Following the directions on the package, iron this adhesive to the wrong side of your backing fabric. 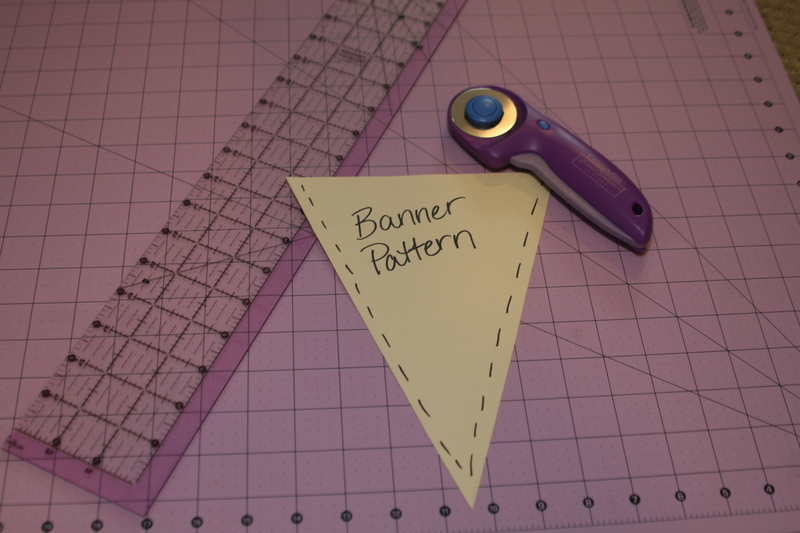 Next trace your pattern onto the paper of the adhesive and cut out each triangle. 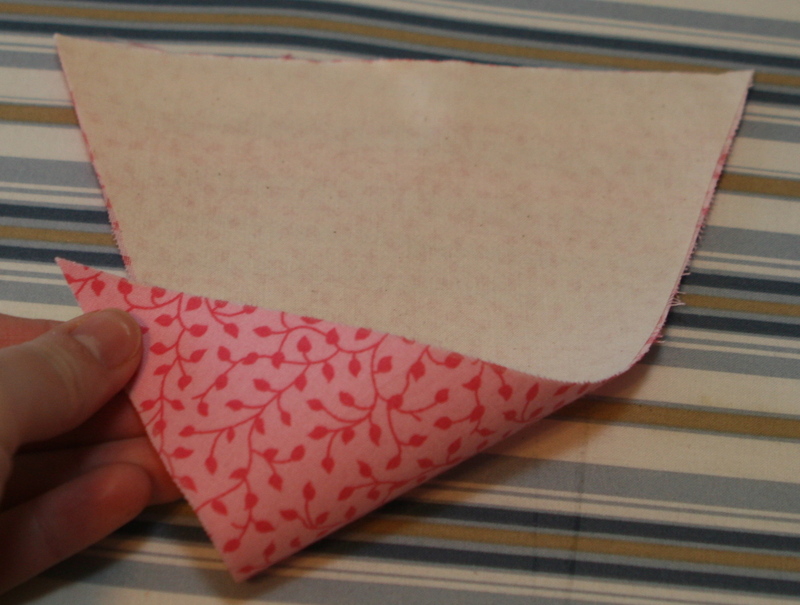 If you don’t want to sew, you don’t need to do this step, but I like the detail it adds. 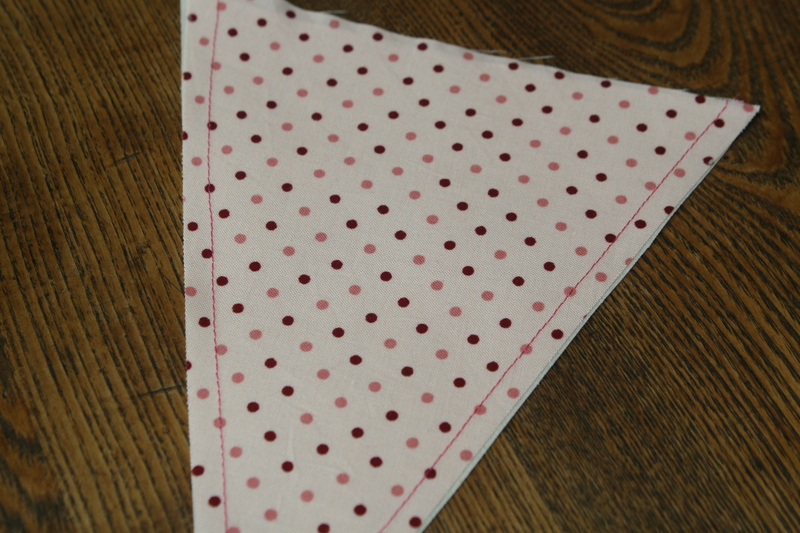 I sewed a 1/4 seam along 2 sides of the triangles. 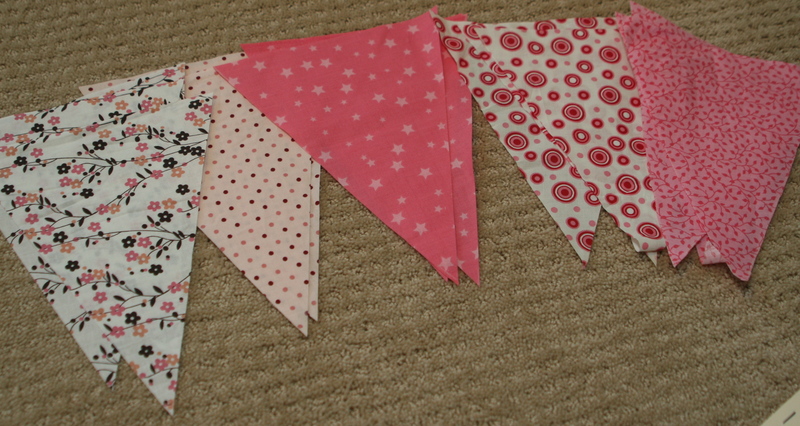 Next take pinking shears and cut along 2 sides of the triangles. Next you’ll need to pick a font for your letters. I just used something in Word and then blew it up to like 250 or 300 font size. Print off all the letters you’ll need. 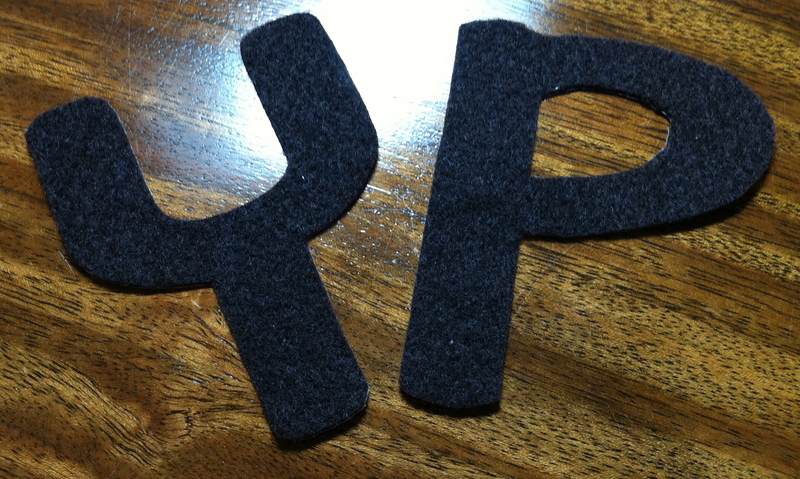 This is another process that could probably be shortened but I ironed my adhesive to my felt, then traced each letter onto the adhesive, and then cut them out. 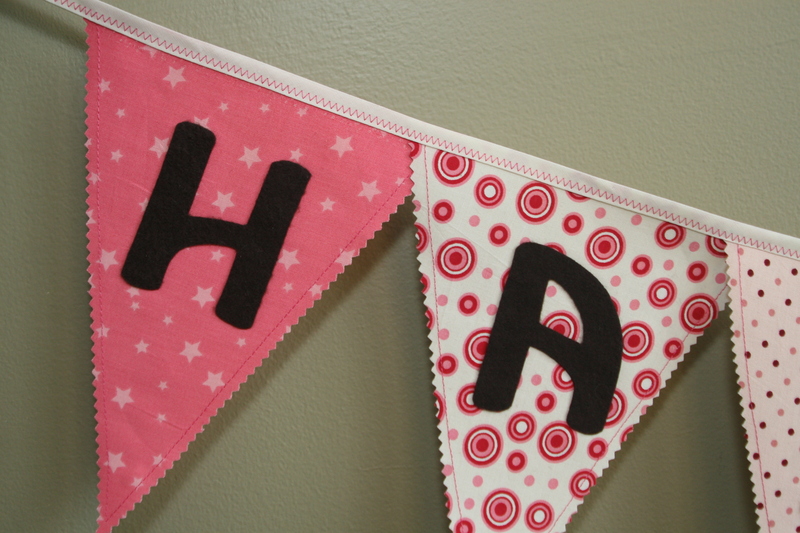 Make sure you trace your letters backwards….speaking from experience. 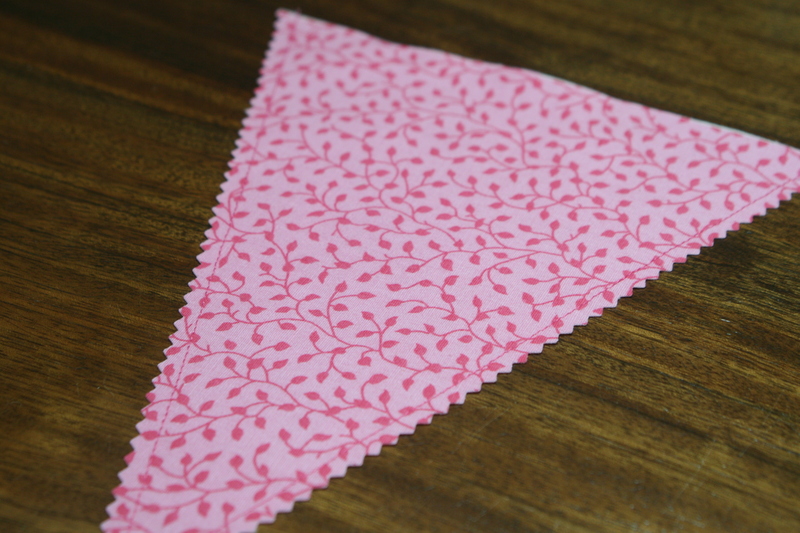 I used bias tape to link the triangles together, but you could also make your own using a coordinating fabric. 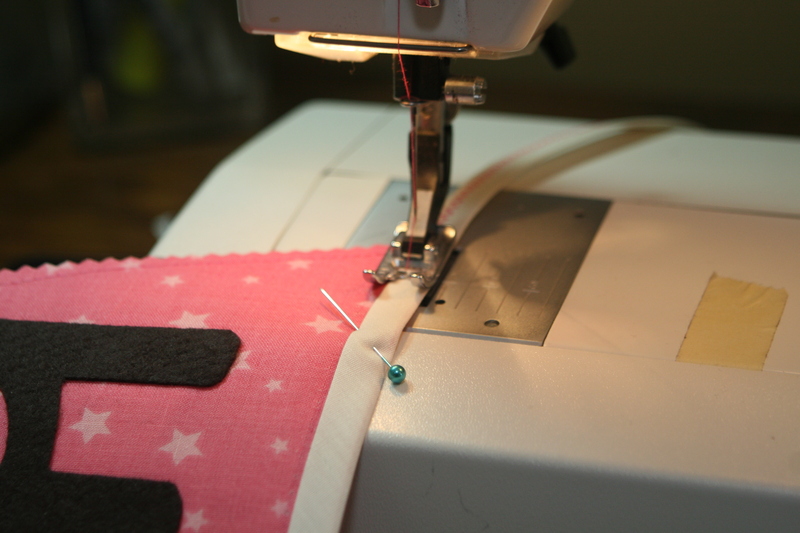 Sew your bias tape onto the triangles. I used a zigzag stich for some extra detail.